Gorgeous Wedding Favor Boxes for Beautiful Bridesmaids! 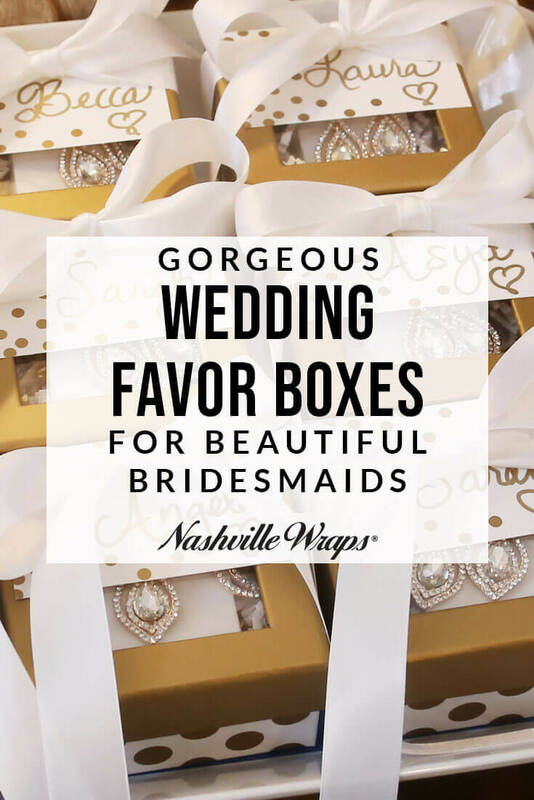 Finding the perfect wedding favor box is such a fun shopping experience with Nashville Wraps. Recently, my daughter Brittany got married and we needed a gorgeous box for her bridesmaids. We chose the small size Gold Polka Dot Rigid Window Boxes to display the bridesmaid’s beautiful earring gifts. The boxes coordinated perfectly with the navy and gold wedding theme. First, we removed the original packaging in exchange for this fancier box. It was such a simple, yet glamorous gift to put together for the greatest WOW factor! The clear lid on these 2-piece Nashville Wraps boxes made it easy to showcase the jewelry. Next, we added a handful of White and Metallic Gold Crinkle Shred then finished by tying off the boxes with White Double-Faced Satin Ribbon. 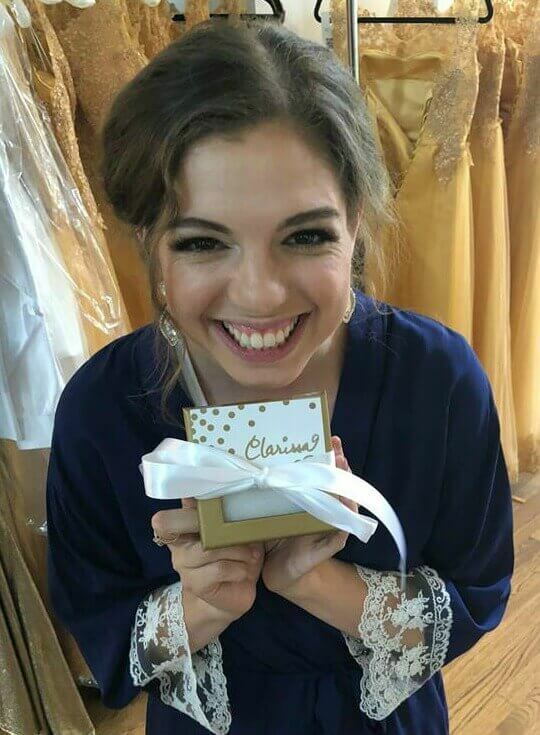 We included Metallic Gold Dots Enclosure Cards with each girl’s name written on it using a gold Sharpie pen to personalize the gifts. 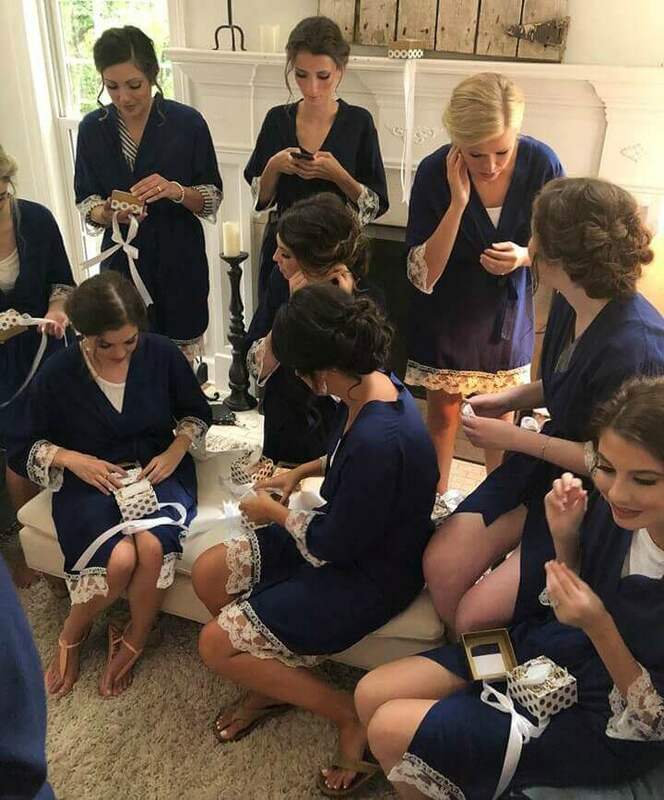 You can tell by the photos the bridesmaids were thrilled! These 2-piece boxes are great for any type of gift, from wedding favors, jewelry, bath and body products, cosmetics to wrapped gourmet sweets like cookies and confections. You can also pair with our candy trays for unwrapped chocolate truffles and candies. They come in solid colors including our new Rose Gold color and polka dot prints. Because of their sturdy design, they are completely reusable and pretty for storing small items. 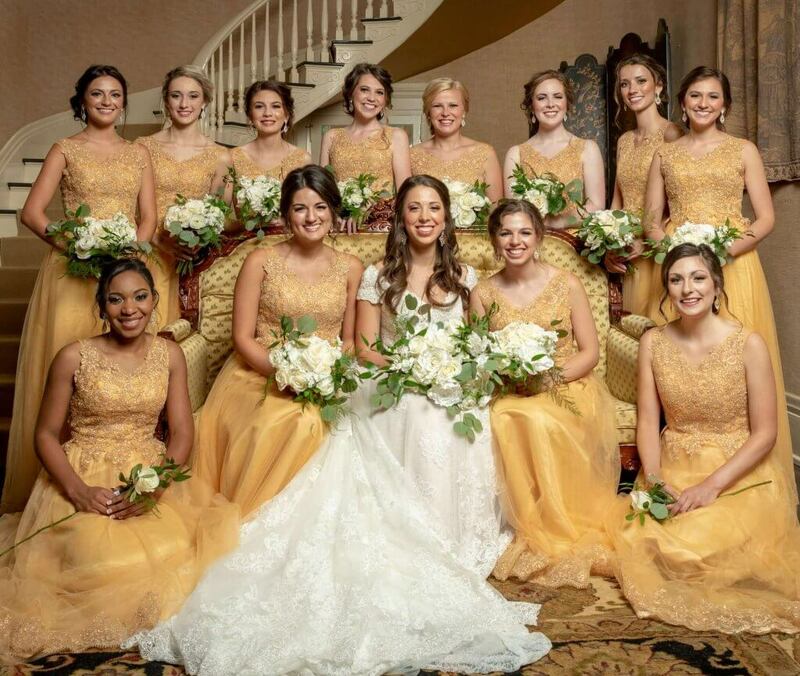 It was such an honor to be the mother of the bride! To have all these lovely young women in our lives is truly a blessing. 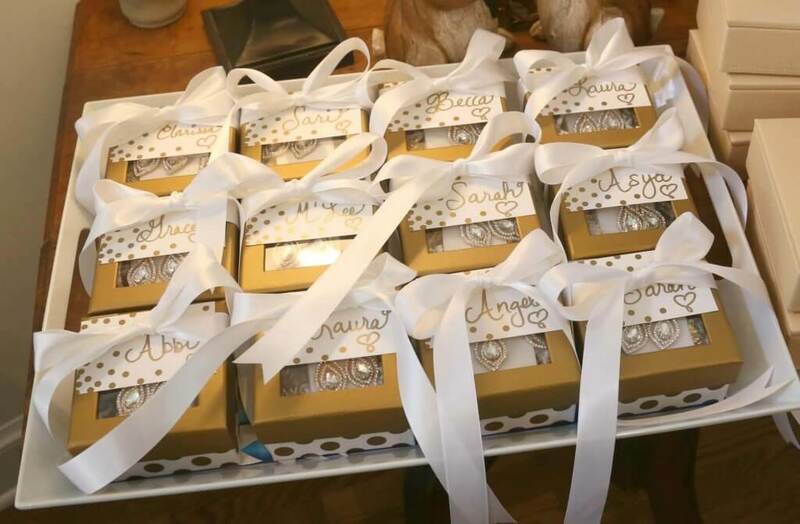 You too can shower your wedding party with beautiful packaging from Nashville Wraps!